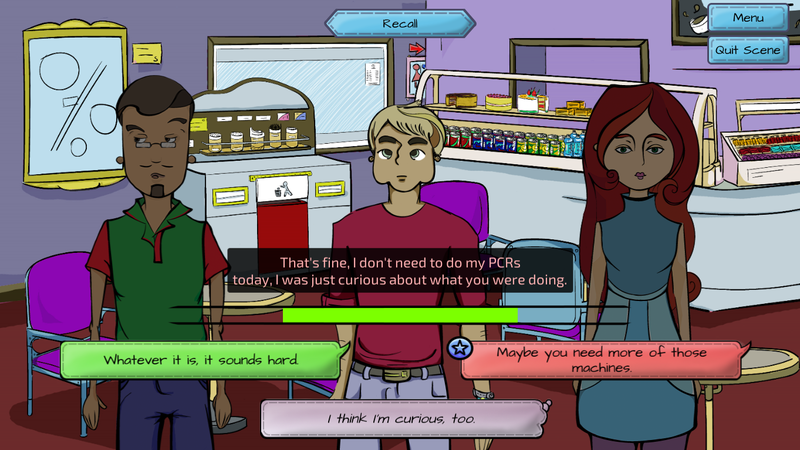 Dialogue: A Writer’s Story is a PC/Mac game about conversations, writing and science. In Dialogue, you play out a year in the life of Lucille, a writer working on her science fantasy novel, whose content is highly inspired by her neighbour Adrian’s research subject, biochemistry. 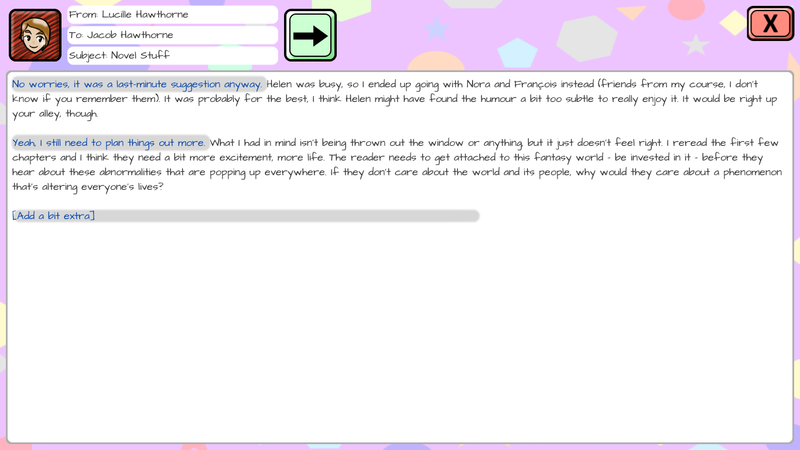 The game consists of various types of conversations with different mechanics. 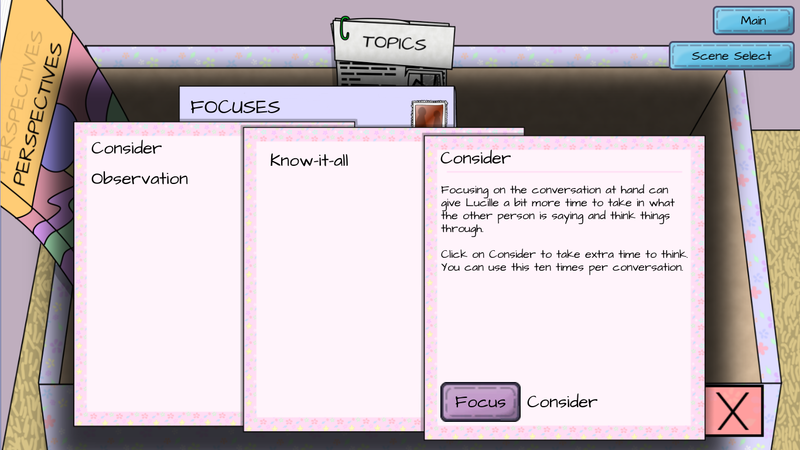 Active conversations occur in real-time, and the effect of Lucille’s statements can be modified through her equipped Focus. Exploratory conversations map different subjects spatially, allowing for backtracking and finding new paths, while emails can be arranged and edited. 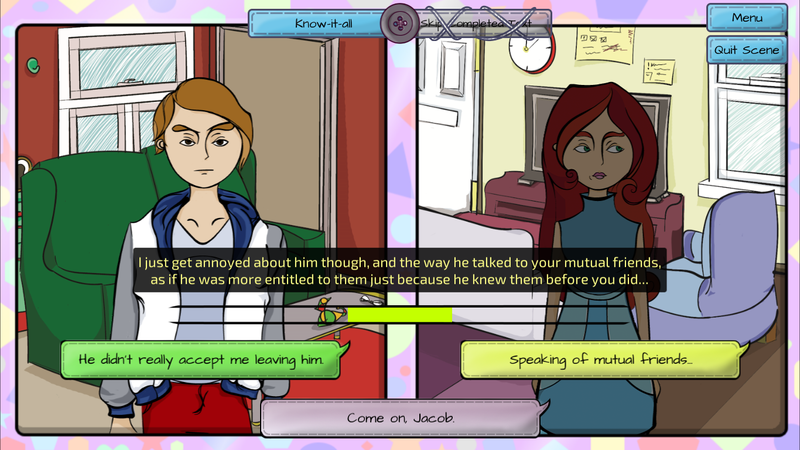 Dialogue combines ease and depth of play to provide a well-rounded narrative experience grounded in everyday life. The game is fully voice acted, with a relaxing soundtrack and European cartoon-inspired characters. Playing through Dialogue takes around 3-6 hours. The presskit for Dialogue can be found here. Dialogue is available from itch.io and Steam!